Lounge of 56 Broad Street Loughborough student accommodation. 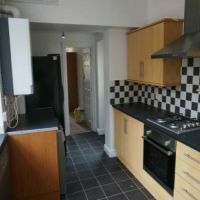 Modern kitchen in 56 Broad Street Loughborough student accommodation. 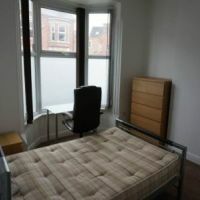 Typical nice bedroom of 56 Broad Street Loughborough student house. 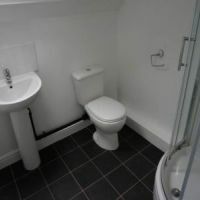 En-suite shower room in all 6 bedrooms of 56 Broad Street, Loughborough student houses. 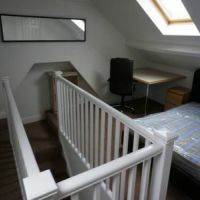 Large double attic bedroom of 56 Broad Street Loughborough student house. 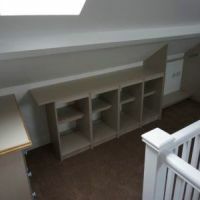 Built-in storage in attic bedroom of 56 Broad Street Loughborough student house. 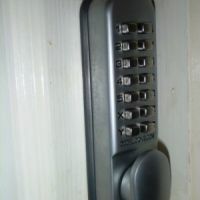 Keypad operated security locks for each bedroom at 56 Broad Street, student accommodation Loughborough. 56 Broad Street, Loughborough, LE11 5AB. Bills included: £8 extra per week - Unused allowance refunded. - Completely refurbished in summer 2013 to a high spec!!! - 6 en-suite shower rooms, unique for Loughborough student houses. - Great location just off Ashby Road behind Sainsbury's. 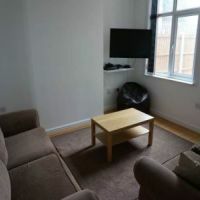 - LCD HD freeview TV in lounge and 1 bedroom. - Keypad security locks to each bedroom.